As a PCI member you have access to exclusive discounts and promotions from our preferred partners. Check out these great deals! Our friends at Selkirk are proud to offer PCI members great paddles at a great price. Our members receive an amazing one-time 50% off discount on a top-of-the-line AMPED paddle for themselves. This $75 value is huge! Members can also 4 NEO paddles for only $49 — great paddles to get your lessons up and running with new players. A small shipping fee applies. Having paddles on hand at your lessons is a huge added bonus to your participants. 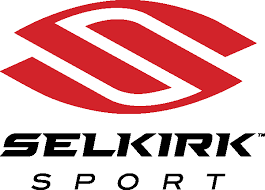 PCI members interested in becoming official resellers of Selkirk Sport paddles can find out more here. Need some new kicks? Our friends at Tennis & Pickleball US has got you covered. Go to Tennis & Pickleball US and save 25% on all regularly priced shoes. Only pay a small shipping cost within the continental United States. The best online retailer for shipping in Canada, Pickleball Depot is your source for awesome paddles, nets, balls and gear. And as a PCI member, you get 10% off any order over $50. Great for working on sore muscles and recovering after a long day on the court, PCI members get a special $15 discount on a Jolt Therapy Tool — the same one used by dozens of pros! The best online resource for helping players and instructors connect. Pickleball Teachers Network makes it easy for coaches to showcase what they do and where they do it. All PCI members are eligible for 6 months of free access to the premium version of the site. Interested in getting your product featured here and in the hands of great pickleball coaches? Send us an email!